Description: Simple Stories Collection Freezin Season Paper 12 in. x 12 in. 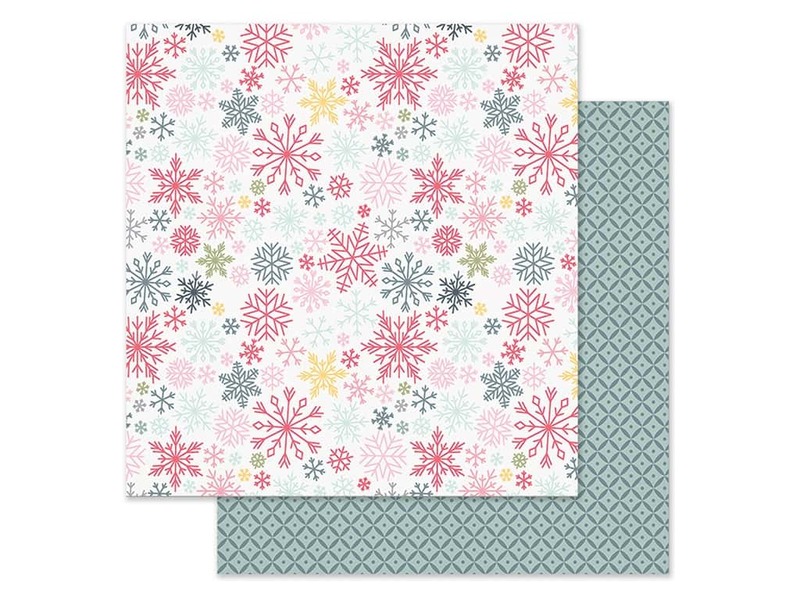 Flurries- Double sided cardstock, one side is white with different colored snowflakes in different designs and sizes. The reverse side has a geometric diamond pattern in light green and gray. See more Simple Stories Freezin Season Collection.